mtr style khara bath recipe - savory, smooth and soft khara bhath made with mix veggies. 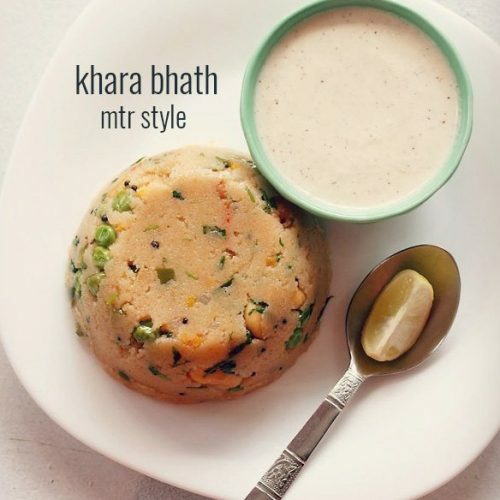 khara bath recipe with step by step photos – savory, smooth and soft MTR style khara bath made with mix veggies. 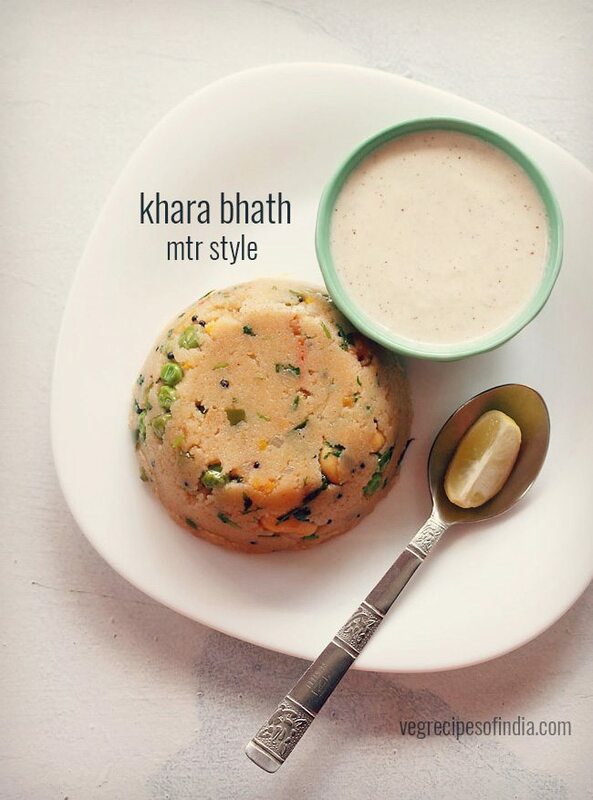 i prepare this khara bhath recipe at times. 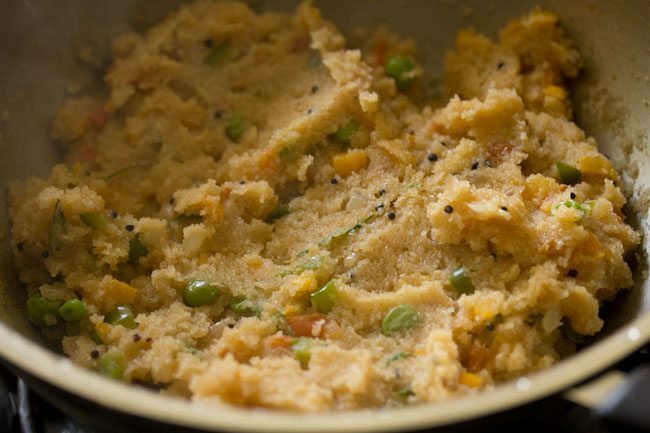 this recipe of mtr style khara bath was shared by a reader on the upma recipe post. 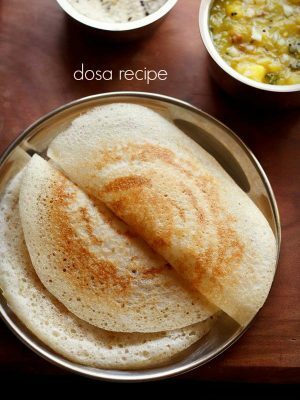 following the method mentioned, i have made this recipe at times. when there are no veggies, i just skip them and make the rava bath with onions and tomatoes. 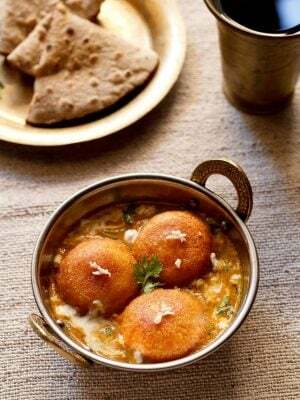 the special ingredient in this khara bhath recipe that gives it a really good flavor is vangi bhath masala. 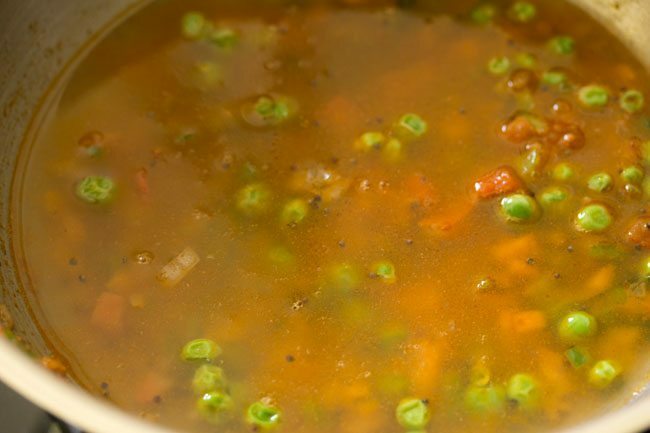 if you do not have vangi bhath masala, you can also add bisi bele bath masala. 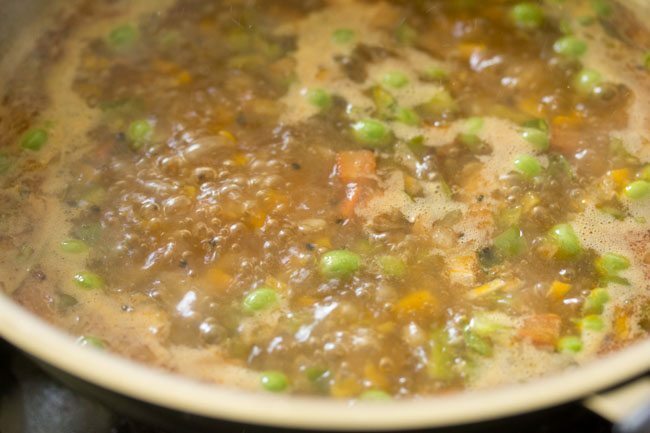 i have myself added bisi bele bath masala on occasions. if you do not have vangi bath masala powder or bisi bele bath masala powder, then just skip it and add red chilli powder. 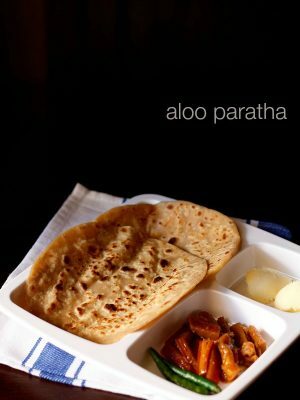 the rava bhath will still taste good. 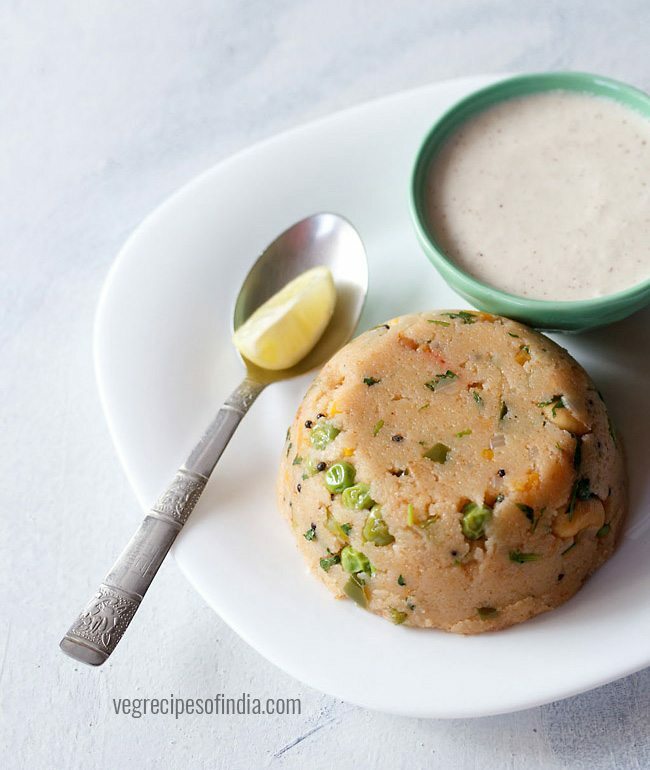 you can serve mtr style khara bath with some lemon wedges and coconut chutney. 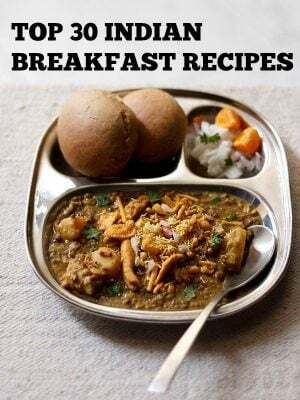 rava bhath can also be packed in tiffin box. heat a pan or kadai first. add the 1/2 cup rava or cream of wheat (fine variety). begin to roast the rava. stir often while roasting the rava. 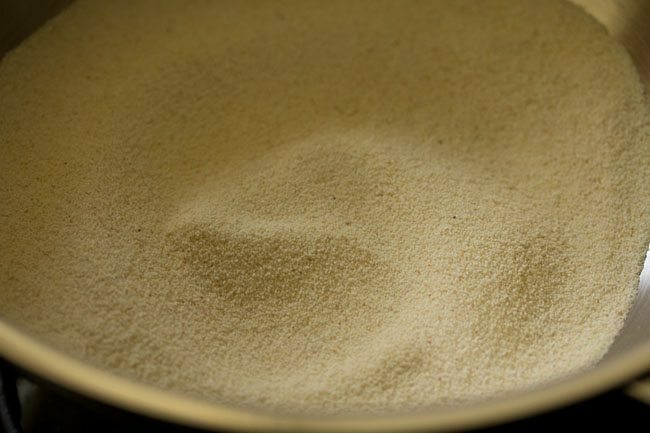 the rava or sooji grains should become fragrant and start to look dry, separate and crisp. don’t brown the rava. roasting takes about 5 to 6 minutes on a low flame. then switch off the flame. 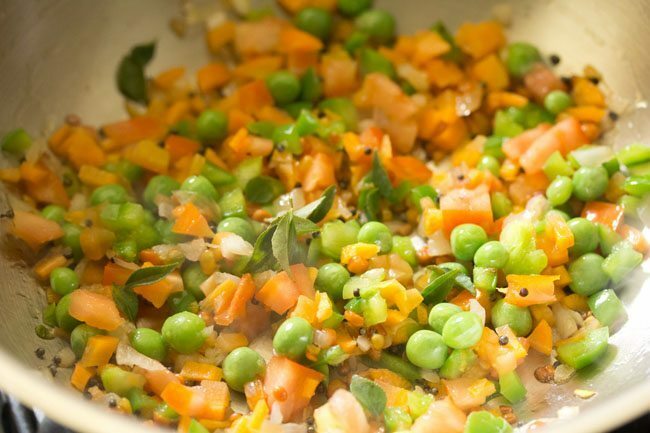 once the rava becomes fragrant and starts to look dry and crisp, then switch off the flame and add the roasted rava in a plate and keep aside. in the same pan, heat 1 tablespoon ghee or oil. 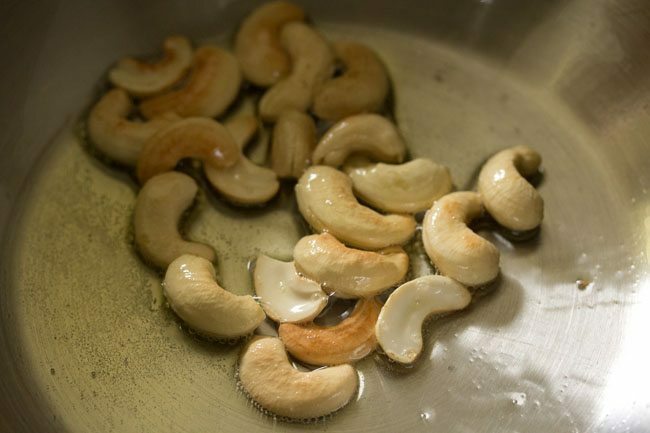 add 10 to 12 cashews. stirring them often on a low to medium flame fry till they get golden. keep aside. 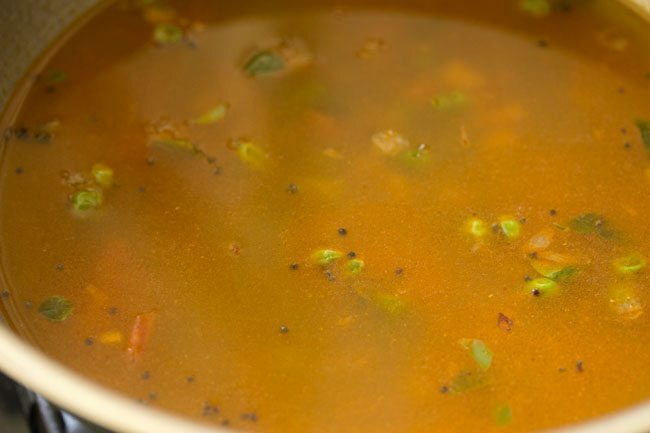 lower the flame and in the same pan, add 1/2 teaspoon mustard seeds, 1/2 teaspoon chana dal and 1/2 teaspoon urad dal. 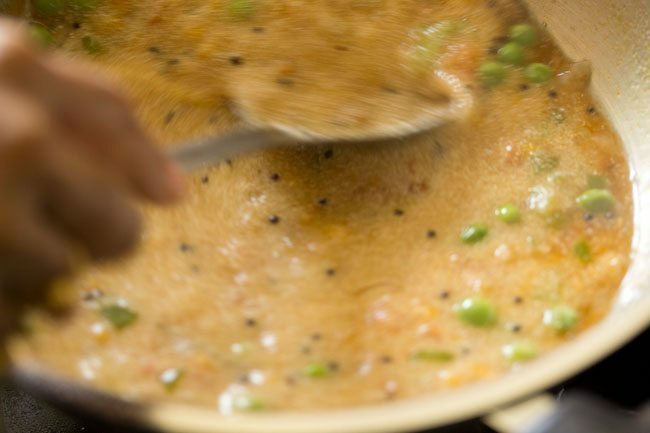 on a low flame saute the lentils and mustard seeds, till the chana dal and urad dal gets golden. 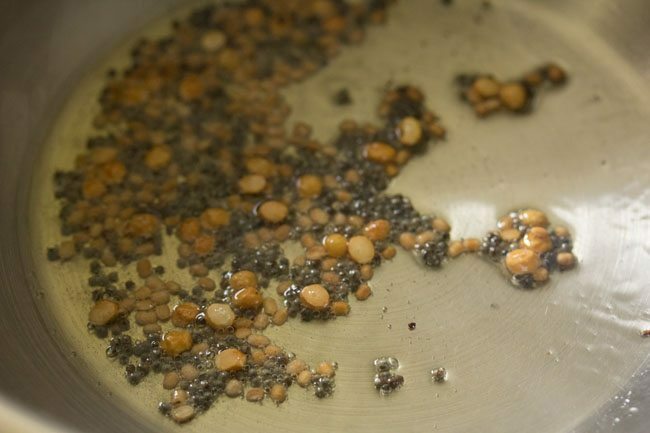 the mustard seeds will also crackle by then. next add 3 tablespoons finely chopped onions. on a low flame, saute for a minute. 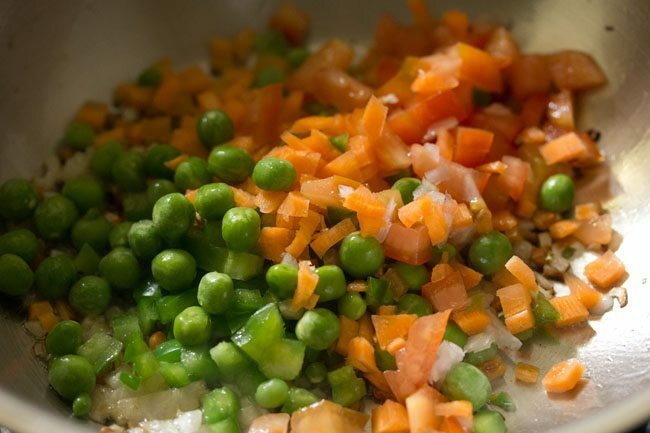 then add 3 tablespoons finely chopped capsicum, 3 tablespoons finely chopped carrot, 3 tablespoons finely chopped tomatoes and 2 tablespoons green peas. mix very well and add 7 to 8 curry leaves. season with 1/2 teaspoon sugar and salt as required. then add 1 teaspoon vangi bhaat masala. mix very well. now add 1.5 cups water. mix very well. bring the water to boil at medium flame. when the water comes to a boil, reduce the flame to a low. then add the roasted rava in two to three batches. as soon as you add first batch, stir very well. so that lumps are not formed. this way add in batches. stir very well after adding each batch. 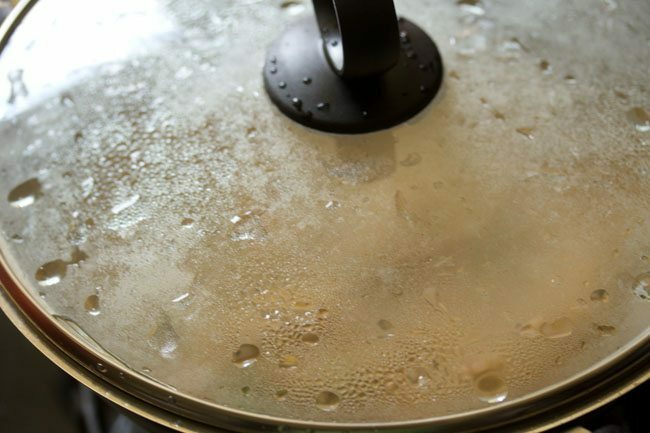 cover pan with a lid and cook on a low flame for 3 to 4 minutes. open the lid and then add 2 tablespoons ghee. also add 2 to 3 tablespoon chopped coriander leaves. 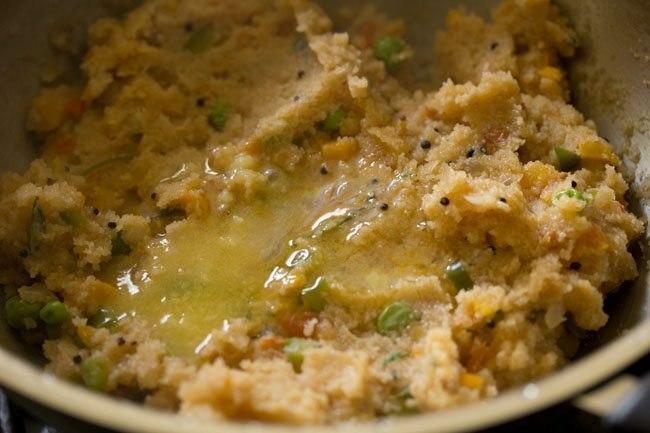 mix very well, so that the ghee is mixed evenly with the khara bath. lastly add the fried cashews. mix again. 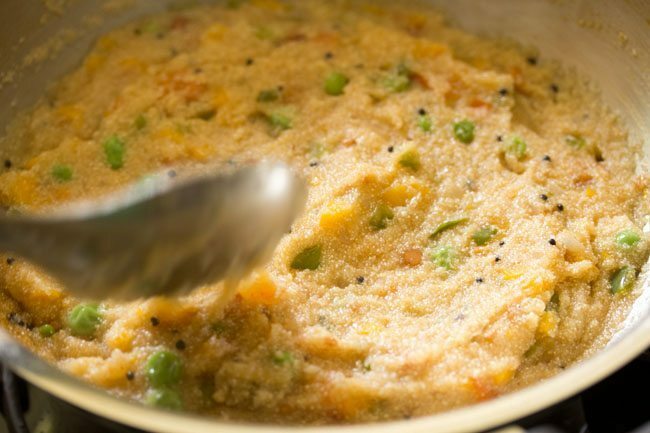 serve khara bath with some slices of lemon and coconut chutney. skip vangi bhath masala powder if you do not have it. you can add 1/4 to 1/2 teaspoon red chilli powder instead. if using vangi bhath masala powder, then too for a spicy taste you can add 1/4 to 1/2 teaspoon red chilli powder. 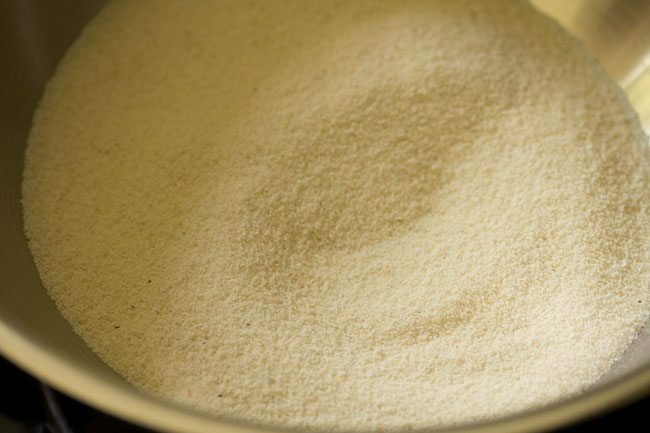 you can add 2 teaspoons vangi bhath masala powder also. 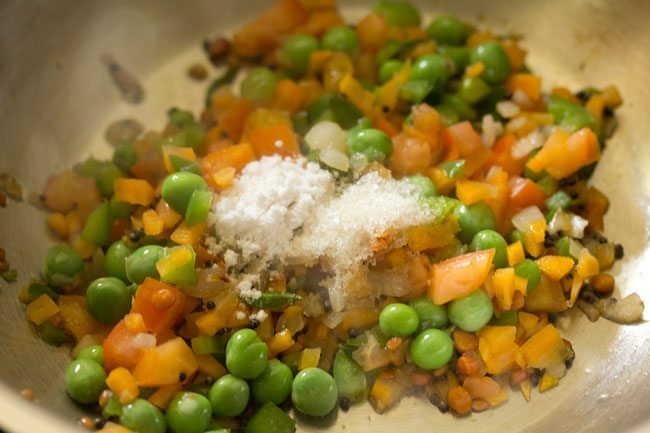 2 tablespoons of finely chopped french beans can also be added with the rest of the veggies. 1. heat a pan or kadai first. 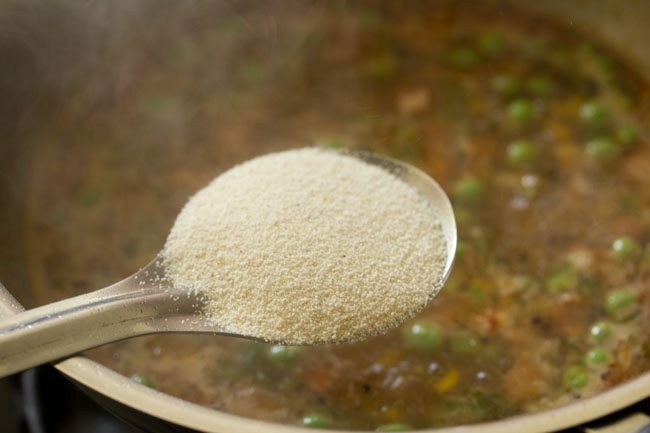 add the ½ cup rava or cream of wheat (fine variety). 2. begin to roast the rava. stir often while roasting the rava. 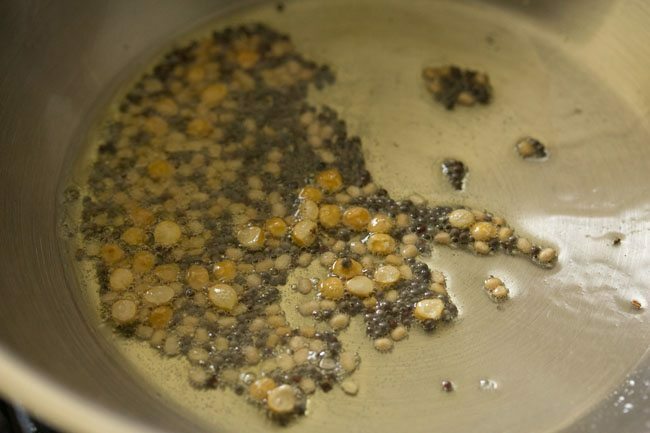 the rava or sooji grains should become fragrant and start to look dry, separate and crisp. don’t brown the rava. 3. roasting takes about 5 to 6 minutes on a low flame. then switch off the flame. 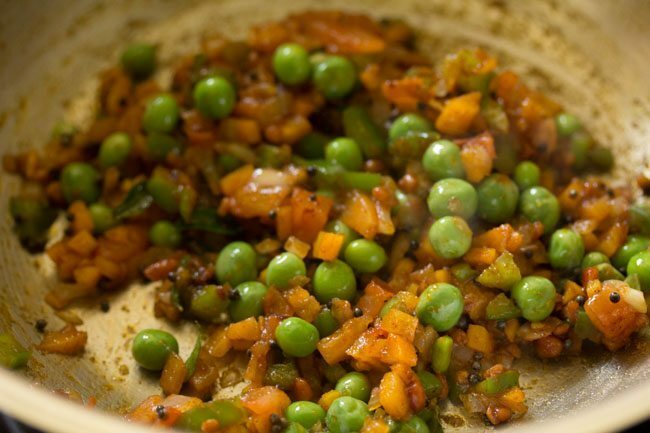 once the rava becomes fragrant and starts to look dry and crisp, then switch off the flame and add the roasted rava in a plate and keep aside. 4. in the same pan, heat 1 tablespoon ghee or oil. 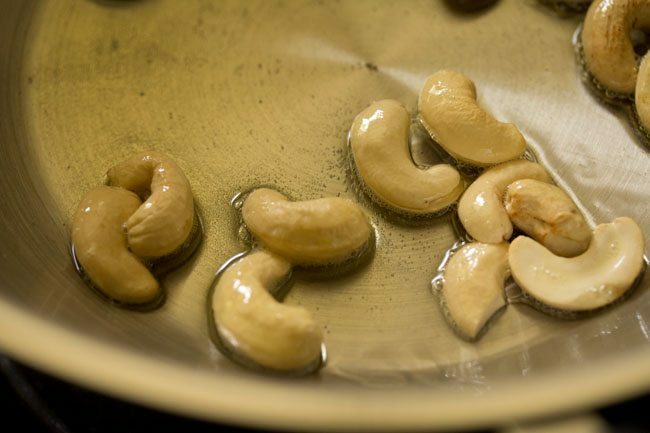 add 10 to 12 cashews. 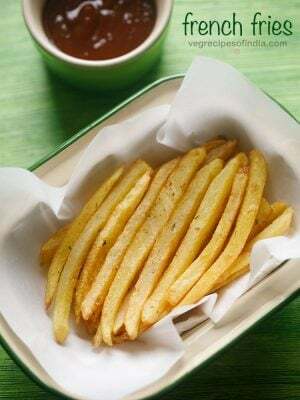 5. stirring them often on a low to medium flame, fry till they get golden. keep aside. 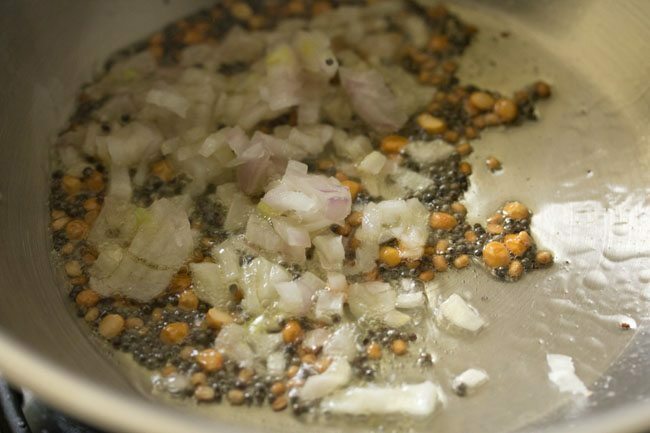 6. lower the flame and add ½ teaspoon mustard seeds, ½ teaspoon chana dal and ½ teaspoon urad dal. 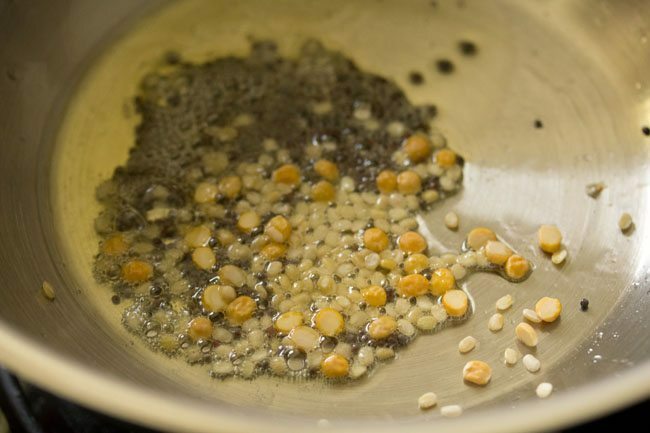 7. on a low flame saute the lentils and mustard seeds. 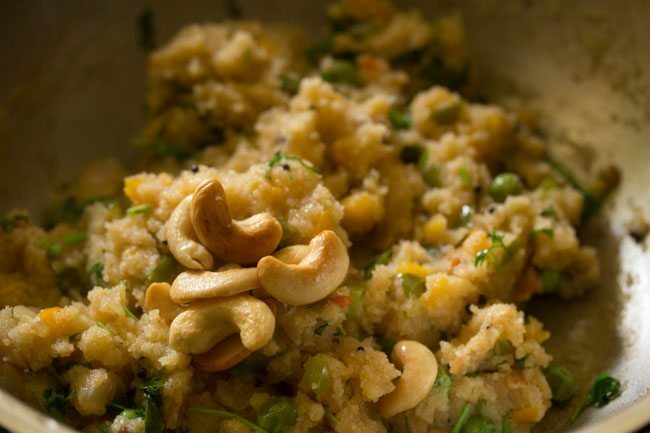 8. saute till the chana dal and urad dal gets golden. the mustard seeds will also crackle by then. 9. next add 3 tablespoons finely chopped onions. on a low flame saute for a minute. 10. then add 3 tablespoons finely chopped capsicum. 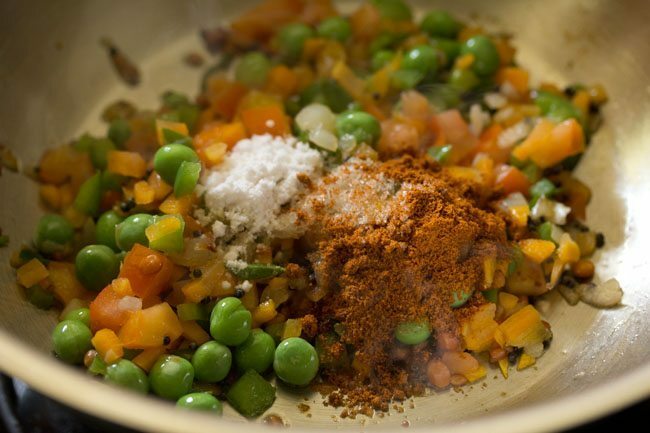 11. next add 3 tablespoons finely chopped carrot, 3 tablespoons finely chopped tomatoes and 2 to 3 tablespoons green peas. 12. mix very well and add 7 to 8 curry leaves. 13. season with ½ teaspoon sugar and salt as required. 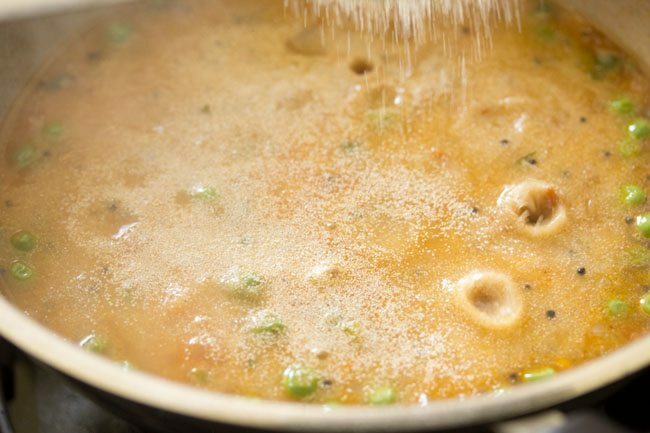 14. add 1 teaspoon vangi bhaat masala. 16. now add 1.5 cups water. 18. bring the water to boil at medium flame. 19. when the water comes to a boil, reduce the flame to a low. then add the roasted rava in two to three batches. 20. as soon as you add first batch, stir very well. so that lumps are not formed. 21. this way add in batches. 22. stir very well after adding each batch. 23. cover pan with a lid and cook on a low flame for 3 to 4 minutes. 24. here the rava is cooked and the khara bhath is ready. 25. now add 2 tablespoons ghee. 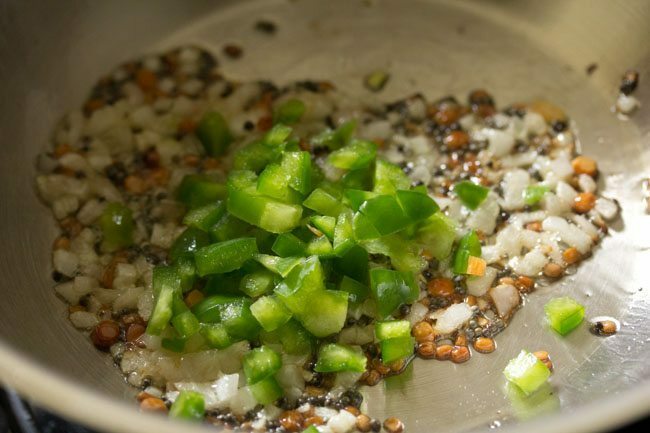 25. also add 2 to 3 tablespoon chopped coriander leaves. 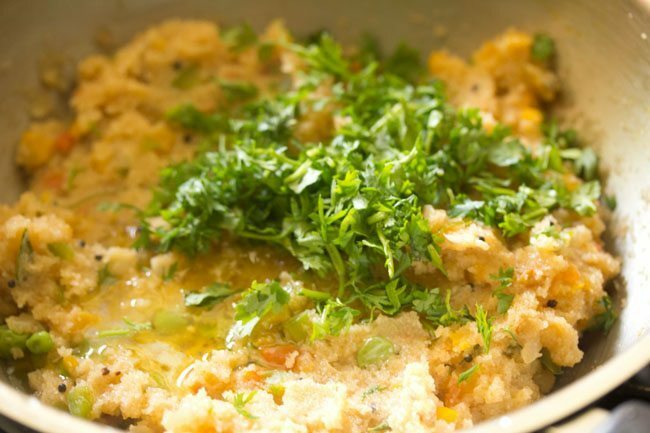 mix very well, so that the ghee is mixed evenly with the khara bath. 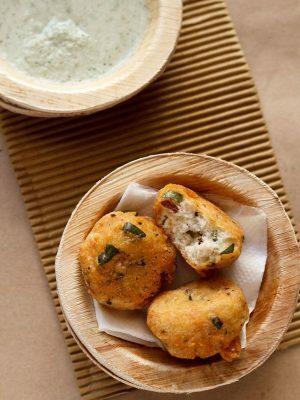 26. switch off the flame and lastly add the fried cashews. mix again. 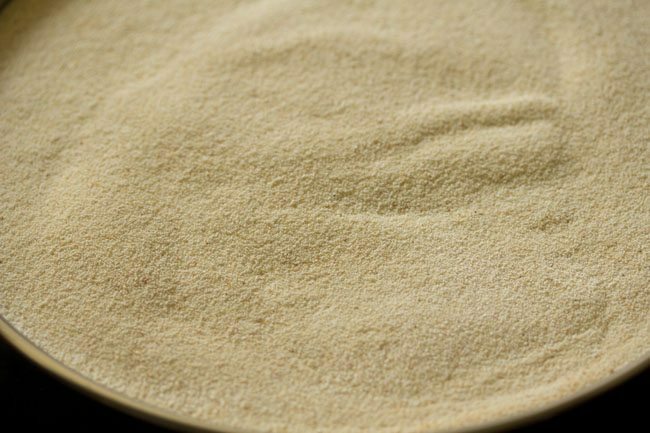 you can use, but you will need to add more water as broken wheat will rava absorb more water for cooking. at which stage u added red chilly powder? 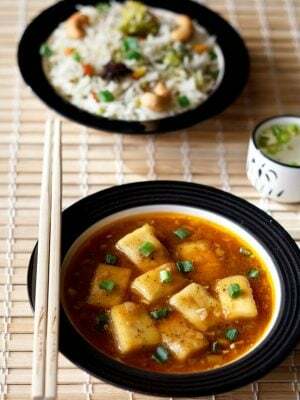 vaishnavi, when vangi bath masala is added, then at that time red chili powder can also be added. 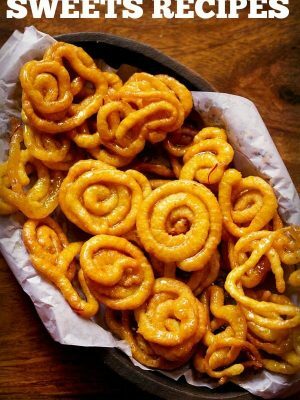 yes you can use chiroti rava. thanks and welcome sakshi. do try the recipe.